Mark your calendar for Monday, March 20th – it’s Free Cone Day at Dairy Queen. Children’s Miracle Network Hospitals and Dairy Queen are teaming up to bring support children’s hospitals. Some locations will raise funds for their local children’s hospital by asking for a donation or offering toppings or dipping the cone for contributions. Go ahead and treat yourself AND help kids get the care they need. 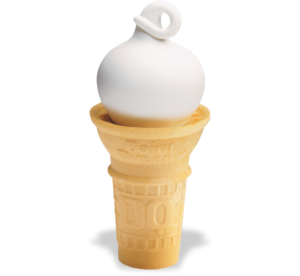 All customers who visit a Dairy Queen on March 20 will receive a free small soft serve cone just for coming in.